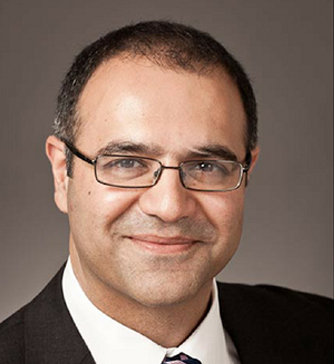 Dr Hayee is a Consultant Gastroenterologist at King's College Hospital and has been Clinical Lead for the department since 2015. He trained at Guy’s Hospital (GKT Medical School), graduating in 1999, and was appointed a Fellow of the Royal College of Physicians in 2015. His PhD, awarded in 2010, examined the role of innate immunity and neutrophil function in Crohn's disease. He is a Reader in Gastroenterology at King’s College London and maintains an active research interest, supervising several PhD fellows and basic scientists. He is nationally-accredited for bowel cancer screening colonoscopy and has specialist interests in Inflammatory Bowel Disease (IBD) and high-quality endoscopy. He is training lead for Endoscopy at King’s and led development of the specialist IBD service from 2012-2017, being shortlisted for an HSJ Excellence in Healthcare award in 2017. In 2011, he was awarded a travelling fellowship to Yokohama, Japan to study advanced endoscopic techniques with Professors Haruhiro Inoue and Shin-ei Kudo and is co-director of the King’s Institute of Therapeutic Endoscopy. He has a commitment to innovation and delivering the highest quality service possible; with thoughtfulness, rapid communication, clarity of information and partnership. Dr Hayee is a member of the British Society of Gastroenterology (for whom he serves as a member of the IBD section committee), the American Gastroenterological Association, the European Crohn’s and Colitis Organisation, the American and European Societies for Gastrointestinal Endoscopy and the Association for Bariatric Endoscopy.